I uploaded everything good that was in my iPhoto, and stuck them in the Photos box on this site. The albums themselves are just iPhoto web site exports, nothing special looking. They are password protected though, so if you need the password, just email me and I'll give it to you. 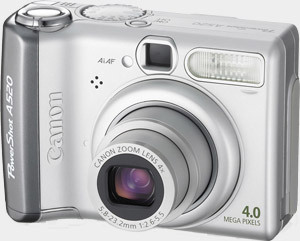 BTW this is not my camera unfortunately, its just some generic camera image I found on Google Images.